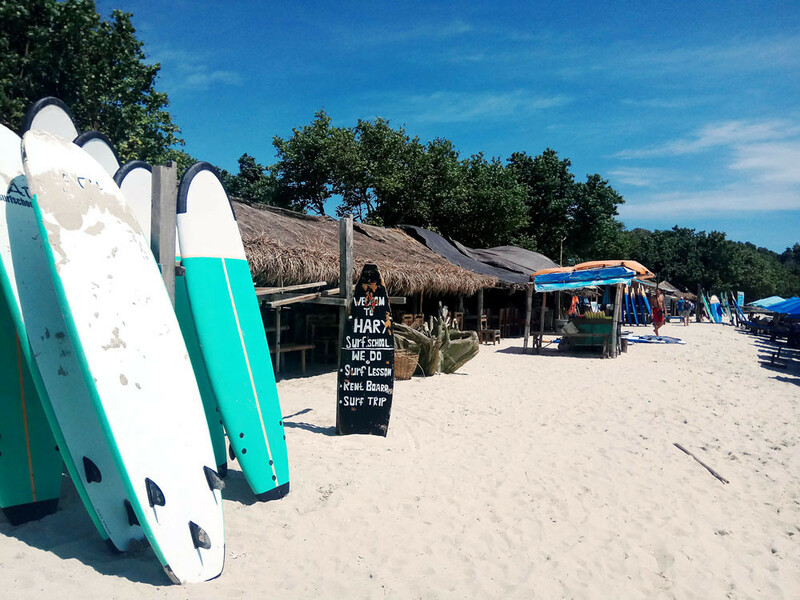 Time to learn: Surfboard rentals and schools are scattered along Selong Belanak Beach, which is just a 30-minute drive from Lombok’s tourist hub of Kuta. 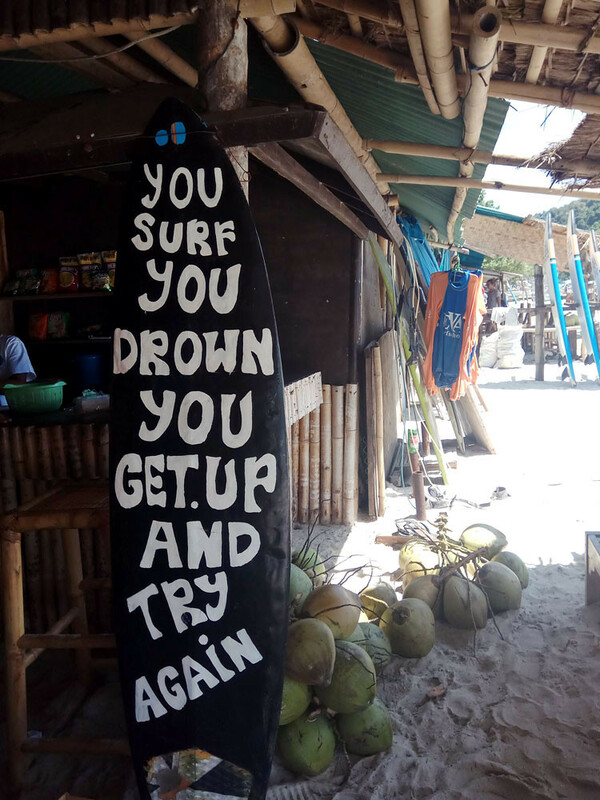 Never give up: A surfboard provides encouragement for new surfers. New adventure: Selong Belanak Beach has become a top destination for tourists looking to learn the art of surfing. Experts only: The powerful waves of Mawi Beach in Lombok, West Nusa Tenggara, attract experienced surfers. One of them is Selong Belanak Beach, a white-sand beach with a line of booths that offer surfboards for rent and surfing classes. The beach is just a 30-minute drive from the bustling tourist hub of Kuta, not to be confused with Bali’s Kuta Beach. Big, long boards help beginners to find balance and their soft padded surfaces allow them to avoid slipping off, even if one does not have surfboard wax.